Fred Martin Bagwell was born on 23 November 1897 in Fletcher, Henderson County, North Carolina. He was the son of John Littleton Bagwell and Jessie Alice Pryor. Fred Martin Bagwell married Sara Emma Rickman on 2 October 1920 at Henderson County, North Carolina. Fred Martin Bagwell died on 28 December 1983 in Manatee County, Florida, at age 86. He was buried at Calvary Eposcopal Church Cemetery, Fletcher, Henderson County, North Carolina. Effie Jay Bagwell was born on 27 September 1896 in Asheville, North Carolina. She was the daughter of John Littleton Bagwell and Jessie Alice Pryor. As of after 1920,her married name was Wise. Effie Jay Bagwell married Charles Wise Jr. after 1920. Effie Jay Bagwell died in February 1990 in Arlington, Virginia, at age 93. She was buried at National Memorial Park, Fairfax County, Virginia. 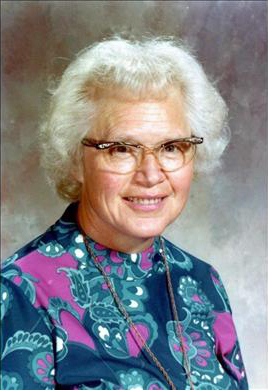 Nina Marie Graves was born in 1914. She married Roy Franklin Bagwell, son of Elisha Perry Bagwell and America (Mary) Fox, on 27 December 1935 at Howard County, Arkansas. Nina Marie Graves and Roy Franklin Bagwell were divorced before 1942. Nina Marie Graves died in 1974 in Stanford, Santa Clara County, California. Donnie Ray Bagwell was born on 26 February 1937 in McCleary Junction, Washington. He was the son of Roy Franklin Bagwell and Nina Marie Graves. Donnie Ray Bagwell married Eutona Sue Branam on 15 June 1991 at Clark County, Nevada. Donnie Ray Bagwell died on 3 December 2011 in Georgetown, El Dorado County, California, at age 74. Lonnie Ray Bagwell was born on 26 February 1937 in McCleary Junction, Washington. He was the son of Roy Franklin Bagwell and Nina Marie Graves. He served as A3C in the US Air Force. Lonnie Ray Bagwell died on 18 December 2002 in Romania at age 65. He was buried at Pleasant Hill Cemetery, Pleasant Hill, Lane County, Oregon. (?) Bagwell is the daughter of Roy Franklin Bagwell and Nina Marie Graves. Joseph Starke was born on 28 August 1914. He married Joanna Bagwell, daughter of Omar Cabel Bagwell and Hattie Belle Ruehlen, on 19 May 1939. Joseph Starke died on 20 April 1993 in Vancouver, Canada, at age 78. Ethel Lois Bagwell was born on 21 November 1928 in California. She was the daughter of John Marion Bagwell and Mina Lois Clement. Ethel Lois Bagwell was cremated. She died on 22 January 1992 in Yolo County, California, at age 63. Alva Lewis Bagwell is the son of John Marion Bagwell and Mina Lois Clement. Alva Lewis Bagwell married Wanda Jane Oxford circa 1954. Richard Earl Bagwell was also known as Earl Bagwell. He was born on 22 October 1931 in Butte County, California.1 He was the son of John Marion Bagwell and Mina Lois Clement. Richard Earl Bagwell died on 19 September 2018 at age 86. He was buried at Glen Oaks Memorial Park, Chico, Butte County, California. [S2320] Email from Brenda Bagwell dated December 2012 to Hunter Wayne Bagwell - Subject Line: John Marion Bagwell and Descendents. [S2872] Email from Brenda Bagwell Hudson dated February 2015 to Hunter Wayne Bagwell - Subject Line: Lee Bernell Bagwell and Family. 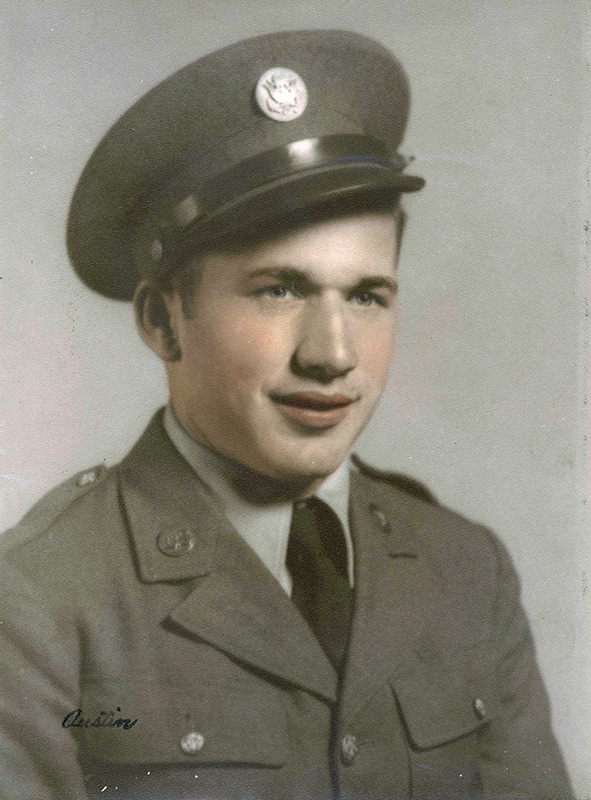 Corporal John Marion Bagwell, Jr.
Elsie May Bagwell was born on 22 January 1922 in Chico, Butte County, California. She was the daughter of John Marion Bagwell and Jettie Beatrice Switzer. Elsie May Bagwell married Leonard Allen Woolery on 12 September 1941. Elsie May Bagwell died on 25 August 1972 in Chico, Butte County, California, at age 50. She was buried at Glen Oaks Memorial Park, Chico, Butte County, California. Leonard Allen Woolery was born on 13 January 1922 in Chico, Butte County, California. He married Elsie May Bagwell, daughter of John Marion Bagwell and Jettie Beatrice Switzer, on 12 September 1941. Leonard Allen Woolery died on 15 July 1987 in Chico, Butte County, California, at age 65. Brenda Bagwell is the daughter of Alva Lewis Bagwell and Wanda Jane Oxford. Clara Mae Bagwell was born circa 1924 in Mississippi. She was the daughter of Lee Duffy Bagwell and Versie Virginia Adams. Clara Mae Bagwell married Ted R. Wilson on 10 October 1944 at Camden, Ouachita County, Arkansas. Clara Mae Bagwell died on 15 August 2011 in Camden, Arkansas, Clara M. Wilson, age 87 of Camden, AR passed away Monday, August 15, 2011. She was born September 10, 1923 to Lee and Versie Adams Bagwell in Ackerman, MS. She was a member of Cullendale First Baptist Church. She was a devoted housewife, mother and grandmother. Mrs. Wilson was preceded in death by her parents; brothers, Buck and Burnell Bagwell; and sister, Virginia. She is survived by her husband, Ted Wilson; daughter, Kathy Tilton and husband, Mark; granddaughter, Amy Jeffress and husband, Justin; brother, Bert Bagwell of San Antonio, TX; sister, Tina Harfst of Columbus, MS; brother-in-law, Charles Wilson; special niece, Charlene Johnson and husband, Joe; and special friend, Margie Parker. Funeral services will be 10:00 AM Thursday, August 18, 2011 at Proctor Funeral Home with burial in Memorial Park Cemetery. Jimmy Burks and Phillip Salmon will officiate the services. Visitation will be from 6:00 to 8:00 PM Wednesday at the funeral home. Memorials may be made to Cullendale First Baptist Church. She was buried at Memorial Park Cemetery, Camden, Arkansas. John M. Bagwell is the son of Lee Duffy Bagwell and Versie Virginia Adams. Charles Burton Bagwell was born on 15 October 1928 in Ackerman, Choctaw County, Mississippi. He was the son of Lee Duffy Bagwell and Versie Virginia Adams. He enlisted in the the US Army Air Corps at Kessler Field, Biloxi, Mississippi in 26 June 1946. Charles Burton Bagwell married Carmen Samano circa 1949. Charles Burton Bagwell died on 3 September 2012 in San Antonio, Bexar County, Texas, at age 83. He was buried on 7 September 2012 at San Fernando Cemetery No. II, San Antonio, Bexar County, Texas. [S2338] Email from Joseph Bagwell dated September 2012 to Hunter Wayne Bagwell; Subject Line: Email about Carmen Samano. 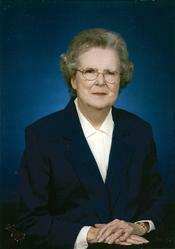 Carmen S. Bagwell age 82 of San Antonio died Friday May 17 2013. She was preceded in death by her parents and loving husband Charles Bagwell. She is survived by her son Charles B. Bagwell Jr. and wife Sandra daughter Catherine V. Foucher and husband Christophe son Joseph G. Bagwell and wife Darla; grandchildren Matthew Victoria and her husband Nate Brittany great-grandson George; great-granddaughter Lilliana. Visitation will be on Monday May 20 2013 from 6pm-8pm at Porter Loring on McCullough. SERVICE TUESDAY MAY 21 2013 9:00 A.M. PORTER LORING CHAPEL Entombment at 10:45 a.m. at San Fernando Cemetery II. You are invited to sign the guestbook at www.porterloring.com.1 She was buried at San Fernando Cemetery #2, San Antonio, Bexar County, Texas. [S3600] Email from Brittany Bagwell dated April 2016 to Hunter Wayne Bagwell; Subject Line: Email about Charles B Bagwell Jr Family. Ted R. Wilson married Clara Mae Bagwell, daughter of Lee Duffy Bagwell and Versie Virginia Adams, on 10 October 1944 at Camden, Ouachita County, Arkansas. Martha E. Bagwell was born on 2 March 1941 in Mississippi. She was the daughter of James Burns Bagwell and Anne Ruth Robinson. Martha E. Bagwell married Gerald Peterson on 8 February 1964 at Flint, Michigan. Martha E. Bagwell died on 21 June 2008 in Traverse City, Grand Traverse County, Michigan, at age 67 Martha E. Bagwell was born in Ackerman, Mississippi on March 2, 1941, the daughter of Jim and Anne Ruth Bagwell and was a resident of Burton. She graduated from Michigan State University with a Bachelors Degree. On February 8, 1964 she married Gerald Peterson in Flint, Genesee County, Michigan and he preceded her in death on February 17, 2007 after 43 years of marriage. Mrs. Peterson worked as a Medical Technologist throughout her career. She was a member of Holy Redeemer Catholic Church. Martha enjoyed spending time with friends and family, site seeing in northern Michigan, staying at the family cottage on Houghton Lake, and shopping. She was a devoted wife, mother and grandmother. Martha, of Burton, Michigan, died at age 67 at Munson Hospital, Traverse City, Michigan. Survivors included her son, Timothy Albert Peterson; daughter, Pamela Ann ( Michael) Hauer; grandchildren, Wesley Albert Peterson, Jarod Michael Hauer and Colin Matthew Hauer; brother, James L. (Lynda) Bagwell; niece, Stephanie Ann (Aaron) Rubio; nephews, Steve, Brian and Scott Popilek; sister-in-law, Joan K. Popilek-Master. She was buried at Sunset Hills Cemetery, Flint, Genesee County, Michigan. Gerald Peterson married Martha E. Bagwell, daughter of James Burns Bagwell and Anne Ruth Robinson, on 8 February 1964 at Flint, Michigan.